"Seeking progress while maintaining stability." This is going to be the key principle of China's governance in 2017, especially for the economy. The Central Economic Work Conference, the major annual policy-making meeting to map out economic priorities and reform plans for the coming year, was held in Beijing from December 14 to 16, 2016. With the economy entering a new normal of medium-to-high-speed growth after decades of double-digit rises and also keeping in mind the complex economic environment abroad, the meeting focused on deepening supply-side structural reform, stabilizing the real estate market, structural adjustment and risk prevention. It also indicated reforms in taxation, finance and social security. Wang Yiming, a policy advisor with the State Council Development Research Center, said the central authorities' pledge to maintain stability and continue with the macro policies stabilizes market expectations, while new reform programs adopted at the conference boost market confidence. "We should maintain stability instead of looking for quick success," Wang said, referring to the complexities of China's ongoing economic restructuring. The supply-side structural reform launched in 2015 aims to cut excessive capacity, destock, de-leverage, lower corporate costs and shore up the weak links in the economy. The other goal is to increase consumption and improve the investment environment. Analysts believe the economy will have a more optimized structure and division of labor as a result of the reform with new driving forces, stronger resilience and a greater capability to resist risks. Supply-side structural reform made progress in 2016 and in 2017, while state-owned enterprises (SOEs) are going to be a key field for breakthrough, according to Tian Yun, Secretary General of the China Strategic Think Tank, a Beijing-based academic group focusing on macro strategy research. 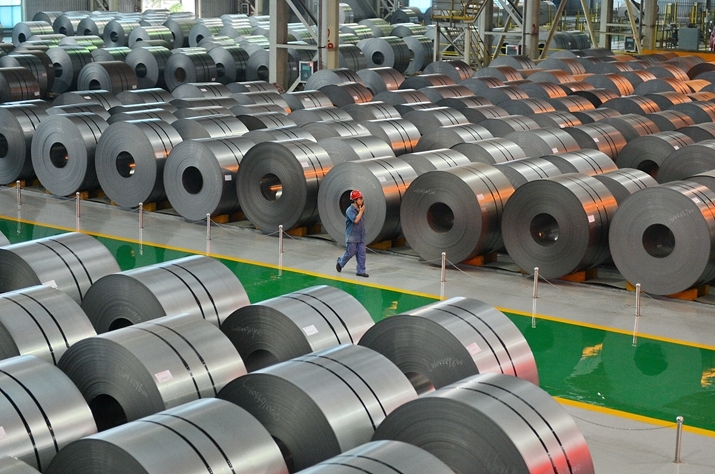 Wang agrees, saying capacity-cutting should be combined with the reform of SOEs. Efforts should be made to decrease real estate inventory in small and medium-sized cities, phase out deleveraging, lower transaction costs, and enhance the technical, physical and institutional infrastructure for growth. To make "substantial progress" in 2017, seven monopolized sectors need mixed ownership reform: electricity, petrol, natural gas, railway, civil aviation, telecommunications and the armaments industry, said a statement issued after the conference. Xu Hongcai, deputy chief economist with the China Center for International Economic Exchanges, told Beijing Review that to break up certain monopoly industries, private capital should be introduced to diversify the ownership structure and activate state firms. Additionally, real economy sectors will be boosted. Analysts have said that boosting the real economy is an important driving force for China's transformation and upgrading under the pressure of an economic downturn. 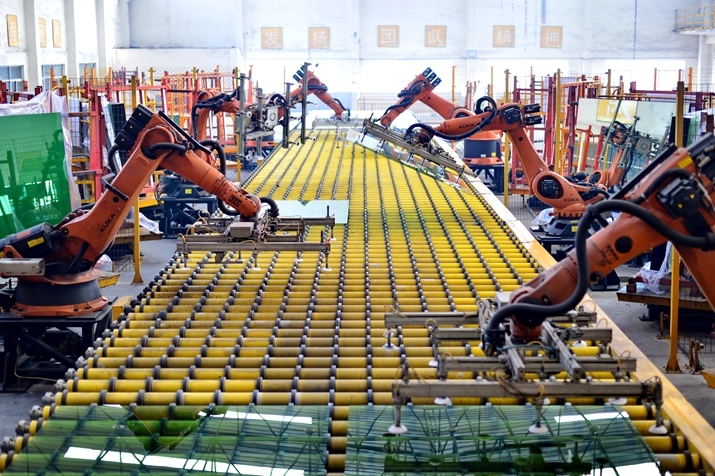 According to Li Guangbei, Deputy Director of the Department of Planning at the Ministry of Industry and Information Technology, more attention should be given to the manufacturing sector. "Manufacturing has become a key for reviving the real economy," Li said. "It is important to transform traditional industries by innovation, in addition to speeding up the development of emerging industries." The monetary policy will be kept "prudent and neutral," different from the "prudent and flexible" policy in 2016, to stabilize the cash flow, according to the conference. Some analysts believe it is a signal for tightening cash supply. The growth rate of M2, a broad measure of money supply that covers cash in circulation and all deposits, will decrease to 10 percent in 2017, compared with 12 percent in 2016, Li Xunlei, principal economist of Qilu Securities (Shanghai) Asset Management, told 21st Century Business Herald. But some hold that a neutral monetary policy does not necessarily mean cash flow curbs as restrained liquidity will result in higher interest rates, which will prop up the financing cost for the real economy. Liu Yuanchu, Executive Chief of the National Academy of Development and Strategy at Renmin University of China, believes a neutral monetary policy aims to keep the cash flow stable to boost the real economy. The real estate market will be another major spotlighted sector in 2017. "Houses are for people to live in, not for people to speculate on," the conference statement said. The year 2016 witnessed a red-hot housing market. By the end of September, average housing prices in mega, large and medium-sized cities had surged 21, 14 and 7 percent respectively since the beginning of the year, according to the National Bureau of Statistics. Local governments had to introduce differentiated policies to restrict housing purchases, aiming to stabilize prices. "For now, housing prices in megacities [including Beijing, Shanghai, Guangzhou and Shenzhen] are on hold. But cycle volatilities are expected to show up in the future," Xu told Beijing Review. To further cool down the property market, the Central Government will accelerate establishing a long-term mechanism to restrain property bubbles and prevent violent price volatility, according to the conference. Also, land supply will be increased in cities such as Beijing and Shanghai where housing prices face stiff upward pressure. Insiders believe that maintaining stability in the real estate market will be the main policy orientation over a long period. Under the long-term mechanism, governmental departments and enterprises will be able to participate in the development of the real estate industry more rationally, according to Ni Pengfei, Assistant to the Dean of the National Academy of Economic Strategy under the Chinese Academy of Social Sciences. Liu Hongyu, a professor at Tsinghua University, said the conference indicates that a series of institution-building measures will be strengthened in land and housing supply, real estate taxation, real estate market regulation, and urbanization. While the plans bode well for economic development in 2017, there are some hard nuts to crack. Liu, citing China's high debt ratio and imbalanced debt structure, said financial risks would be one of them. Besides, outside factors—including the U.S. Federal Reserve's interest rate hike, the Brexit aftermath and fluctuations of the world financial market—would affect the yuan's exchange rate and China's financial market. This in turn will have a ripple and cumulative effect on the Chinese economy, Liu warned. Another risk lies in the structural shift in commodity pricing, which will lead to surging production costs and sluggish economic growth. However, despite uncertainties and downsides, Shen Lan, an economist at Standard Chartered China, expects China will maintain its annual growth target of 6.5-7 percent in 2017. 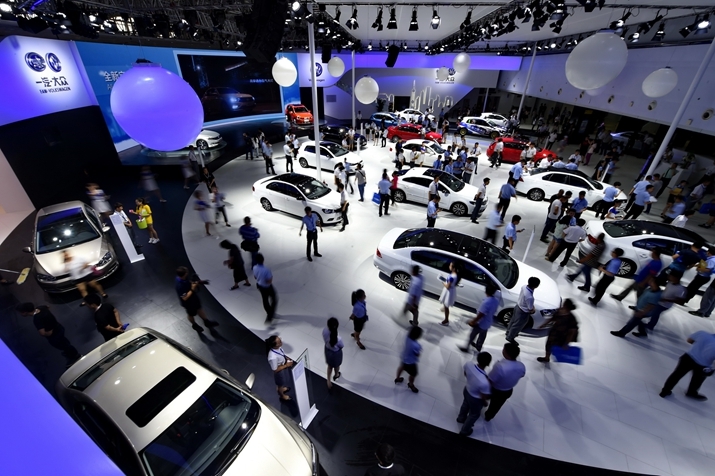 Besides reforms, China will also continue to open up and attract foreign investment, according to the conference. Putting priority on attracting foreign investment signals further opening up, said Bai Ming, a researcher with the Chinese Academy of International Trade and Economic Cooperation under the Ministry of Commerce. Bai said initiatives that improve optimal allocation of resources by opening up will vitalize China's economic growth to achieve mutual benefits and win-win results with foreign investors. Liu Yingkui, Director of the Department of International Investment Research at the China Council for the Promotion of International Trade, said developed countries still enjoy advantages in some areas of high technology. More efforts should be made to learn from their advanced experiences and guide foreign investment into hi-tech manufacturing and highly value-added services to transform and upgrade China's economy. Currently, the scale of China's outbound investment exceeds that of foreign investment in China. China will also push ahead with the Silk Road Economic Belt and the 21st Century Road Maritime Silk Road (Belt and Road Initiative) aimed at boosting trade and connectivity across Asia, Europe and Africa. "It indicates China's integration into the world at a faster pace," Zhang said. In spite of a still sluggish world economy, the Belt and Road Initiative will not only lay a foundation for China's growth but also push forward the recovery of the global economy.